Thank You, Dr. Katie Flannigan and the FSU Department of Sports Medicine! 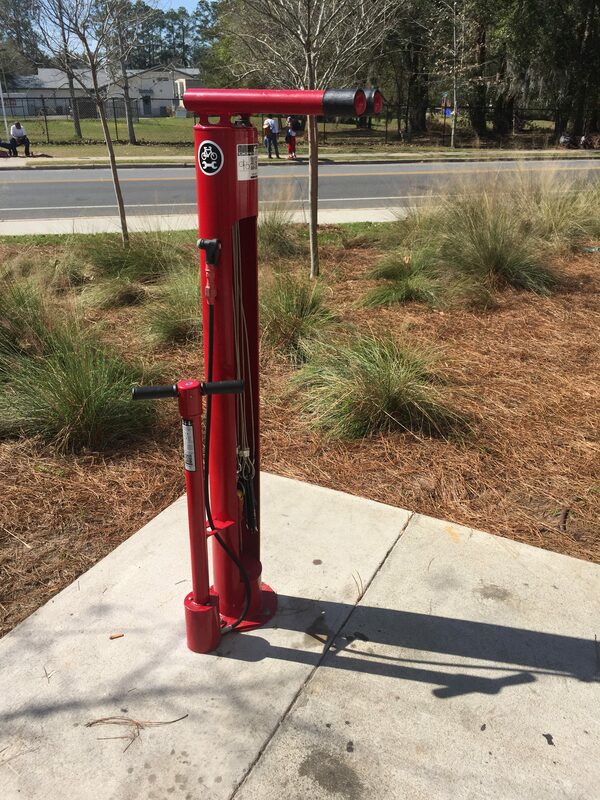 A number of months ago, Dr. Katie Flannigan with FSU’s Sports Medicine program arranged for The Kearney Center to receive a grant for a DERO Fixit Bike Repair Station which was installed in front of the Center. This repair station for bikes has received a great deal of attention and use since its installation; Donnell is no exception. As a resident of The Kearney Center, Donnell had a great need of personal transportation to access employment opportunities, and to visit friends and family. He has taken bicycle parts from the “grave yard” and built himself a functional and reliable bicycle in his spare time. “This is the greatest invention. It has everything you need to repair and rebuild a bicycle. I am so thankful this was available for me to use,” said Donnell. 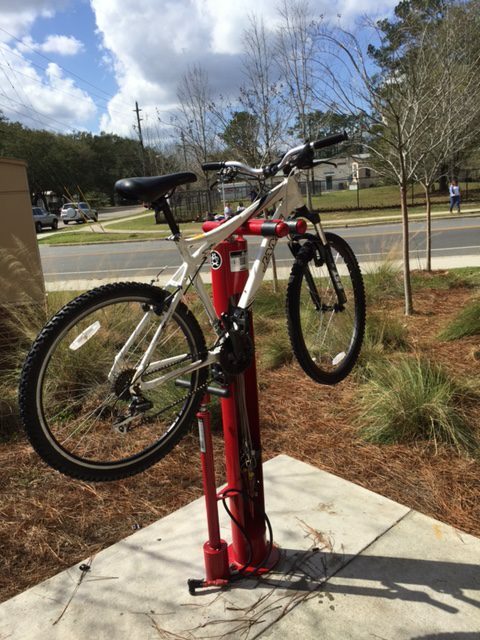 Many other residents take advantage of this repair station to adjust and maintain their bikes. The Kearney Center greatly appreciates the efforts of Dr. Flannigan and her school for providing this opportunity for all the residents of the Center. THANK YOU!